Members of the Webster Groves community marched through the streets preceding the event at Steger in January 2015. Photo by Caroline Fellows. Civil rights marches come in many sizes and can honor ideas or outstanding individuals. 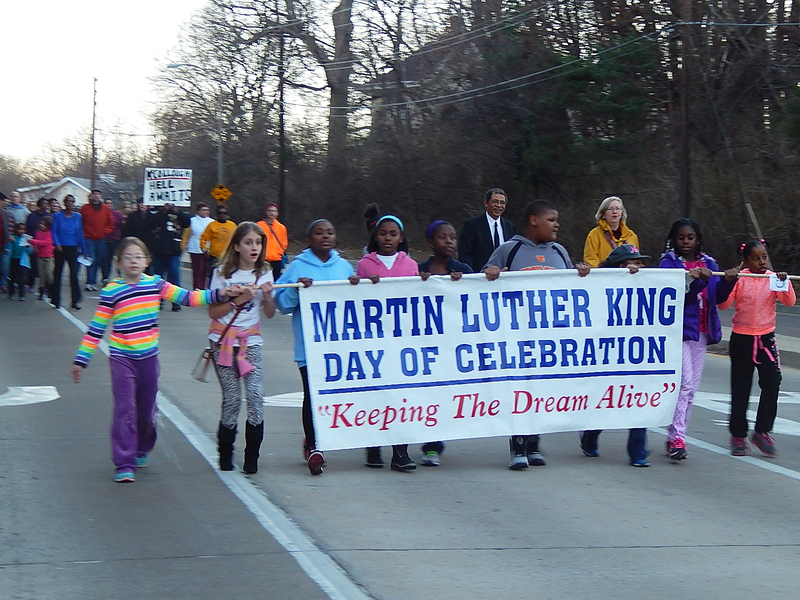 Since Jan. 18, 1994, Webster Groves has celebrated the life of Martin Luther King with a march. About 200-300 people participate each year. Mieisha James, senior, said, “I participate in the march because I feel like it is still for a good cause.” James has been involved in the march for five years, and plans to participate again Jan. 17. The march begins at 4:30 p.m. in front of Webster Groves City Hall (4 East Lockwood). The march will conclude at Steger Sixth Grade Center followed by a dinner reception. The option of a shuttle will be available. In the Steger auditorium at 5:45 p.m. the Community Celebration featuring keynote speaker James Allen, chair of deacons at First Baptist Community Church of Webster Groves. Lamar W. Fitzgerald of the First United Methodist Church will conduct the Combined Faith Community Choir. Ras Jones, a late resident of WebsterGroves, is credited with being the individual who started the march, and the essay contest is named after him as well. 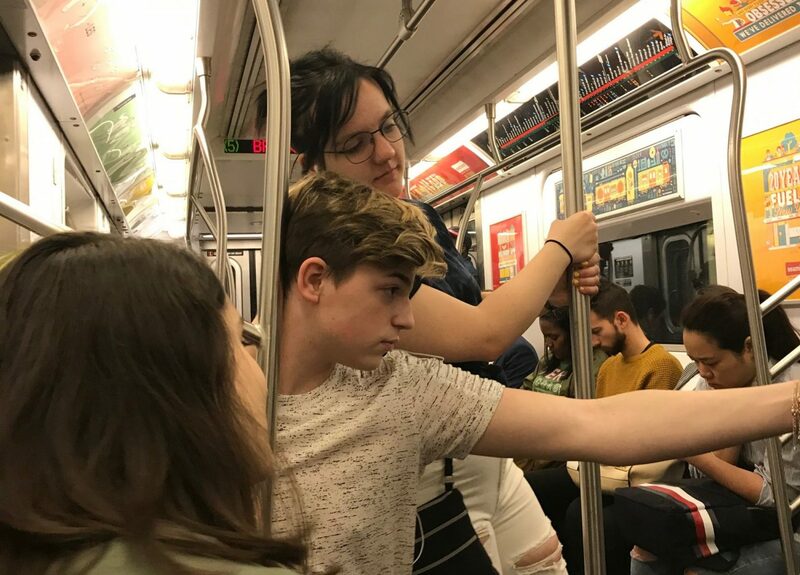 “The goal is to keep the spirit, beliefs and strong leadership alive and thriving in our community so we can live, learn and grow in a socially just community that truly values and cares about each and every person,” said superintendent Sarah Riss.